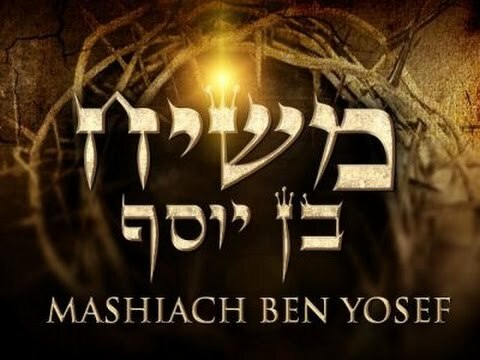 Determining when Yeshua the Messiah of Israel was born. 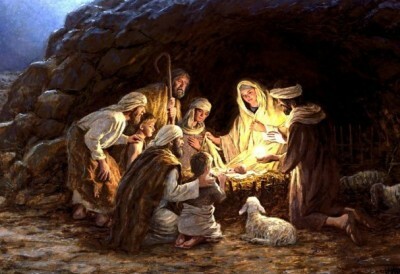 Much has said of the day when Yeshua, the Messiah of Israel, was born. Many claim that it is difficult or nearly impossible to determine the date with accuracy. Lucas, a natural historian, does not agree with recounting the life of the Messiah of Israel, but he left keys to accurately discern the day of Yeshua’s birth and death; It was the least that Lucas could do for the most famous character of all time. To really learn more about the Nazarenes writings (NT), it must be read with a Hebrew mentality, knowing in detail the Torah and especially the commandments of YHWH , our Elohim, to Moses. Also IT SHOULD GIVE MORE IMPORTANCE THE TEXTS BIBLICAL that the texts of the “Church Fathers”. Devarim (Deu) 29:29 “The secret things belong to YAHWEH our Elohim; and the things revealed belong to us and to our sons forever, that we may do all the Words of this Torah”. 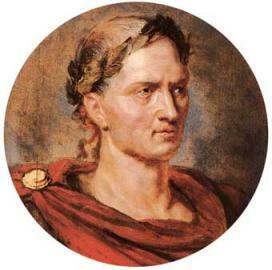 Tiberius Caesar (Emperor of Rome) ruled from September 18 of the year 14 A.D. until his death on March 16 of the year 37 A.D.
Herod the great (King of Judea), ruled from 37 B.C. 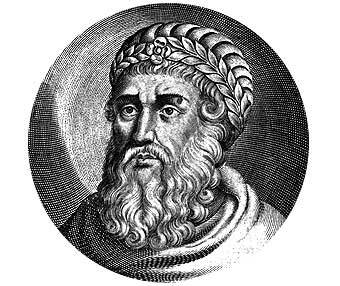 to 1 A.D.
Herod Antipas, son of Herod the Great, (Tetrarch of Galilee) ruled from 4 BC TO 36 A.D.
Pontius Pilate, Governor of Judea, ruled from 26 A.D. to 36.D.C. Caiaphas / Kayafa, (high priest of Jerusalem), ruled from 18 A.D. to 36 A.D.
Matitiyahu (Mat) 3:13-16 ” Then Yeshua arrives from Galilee to the Jordan, to Yohanan, to be baptized by him. But Yohanan refused Him, saying, I have need to be baptized by You, and do You come to me? 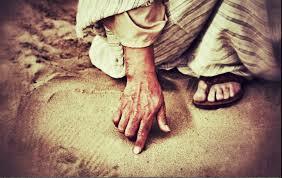 But answering, Yeshua said to him, Allow it now, for it is proper to us this way to fulfill all righteousness. Then he allowed Him. And having been, Yeshua went up immediately from the water. And, behold! The heavens were opened to Him, and He saw the Spirit of YHWH coming down as a dove, and coming upon Him”. It has always argued that Herod the Great (famous for talking with the Magi and send to kill all children under two years who were in Bethlehem and in all their surroundings)(Matetiyahu (Mat) 2) died in 4 B.C. The conclusive data it was given byJosephus, a Jewish historian, in Antiquities, 17.6.4, he says that Herod died after a lunar eclipse and lists a series of events between this eclipse and Easter (April 07). Now it is known that there were only two LIKELY eclipses in this period: a partial eclipse the 13 of March 4 BC and a total eclipse the 10 of January 1 BC Josephus says (Jewish Antiquities XVII:166 – 167, 213) that the eclipse took place “before” not “after” the death of Herod, who ruled for 37 years. The true Jewish tradition, documented in Megillat Taanit 23a says: Herod died the Sebat 2 (January/February, either on day 2 of the month of Adar). Or that the eclipse of the 10 of January of 1 BC took place before the death of Herod, not on the of 13 of March 4 BC, that happened then. 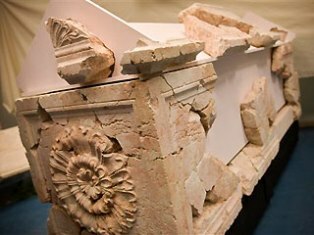 Antique 17TH 8:1 says “when he had done these things, (Herod) died, the fifth dayafter he had caused that Antipater was assassinated; After having reigned, since he procured Antigonus to be slain, thirty–four years; “but had been declared King by the Romans, made thirty and seven years”. We have confirmed that Herod died 2 Sebat (January/February) of the year 1 B.C. 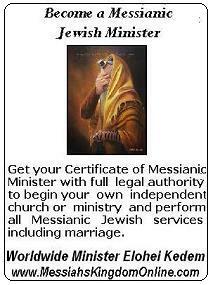 WHEN WAS THE MESSIAHS OF ISRAEL DEATH? LuKe 2:21-24 “And when eight days had passed to circumcise the Child, His name was called Yahshua, the name called by the cherub before He was conceived in the womb. And when the days of her cleansing according to the Law of Moses were fulfilled, they took Him up to Jerusalem to present Him to YHWH, as it has been written in the Torah of YHWH: Every male opening a womb shall be called a holy one to YHWH; and to offer a sacrifice according to that said in the Torah of YHWH, a pair of turtledoves, or two nestlings of doves”. Luke 2:36-38 ” Anna, a prophetess, a daughter of Phanuel, of the tribe of Asher. She was advanced in many days, having lived seven years with a husband from her virginity; and she was a widow of eighty four years, who did not depart from the sanctuary, serving night and day with fastings and prayers. And coming on at the very hour, she gave thanks to YHWH, and spoke concerning Him to all those in Jerusalem eagerly expecting redemption”. As you can see “the purification of them days” refers to the Jewish people, or to the Yom Kippur holiday, which is celebrated for 10 days, being the last day of 10 of Tishri That day the temple was open of day and of night (as is refers to the case of Ana, the prophetess), not as all the other days that closed at dusk. Miriam, the mother of Yeshua, the Messiah of Israel, had to wait 40 days at home before to go to the temple to arise to the atonement and be clean. Luke tells us that she did it on the 10th day of Tishri, on the holiday of Yom Kippur. So it can easily count back 40 days and reach the exact day of the birth of the Messiah of Israel, Elul 1 of the year 2 B.C. (approximately in September, that date). Yeshua, the Mashiach of Israel, was born the 1st of Elul of the year 2 BC day of Yom Teruah, the Feast of Trumpets. Yeshayahu (Isa) 19:20 “and will be for a sign and by testimony to YHWH of hosts in the land of Egypt; they will cry out to YHWH because of their oppressors, and he will send them to salvador and Prince who free them“.